It’s been a while since we’ve had a song with almost nothing to write about it. Looks like this might be a quick one. 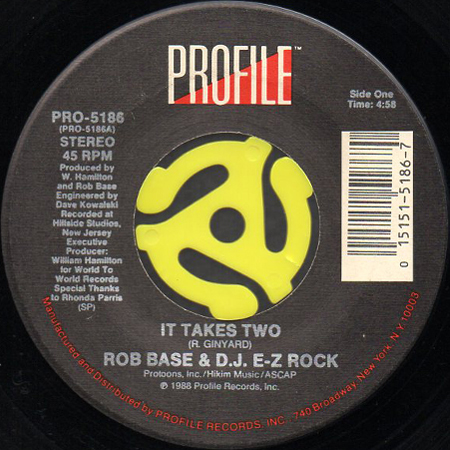 MC Rob Base and DJ E-Z Rock got together in Harlem, New York in the mid-80’s. They released a one-off single on a tiny label which then brought them to the attention of Profile Records, home to the reigning kings of rap, Run DMC. The night before their first recording session for Profile, Base and Rock met up and quickly threw together a song using a few samples from 70’s R&B artists (the primary hooks are sourced from “Think About It” by Lyn Collins). The duo arrived at the studio the next day, laid down their beats and rhymes, and that was that. The whole track was conceived, written, and recorded in the span of about 24 hours. Released as a single in the summer of 1988, “It Takes Two” became a massive dance club hit, and was one of only a handful of rap songs to reach the US Top 40 that year. 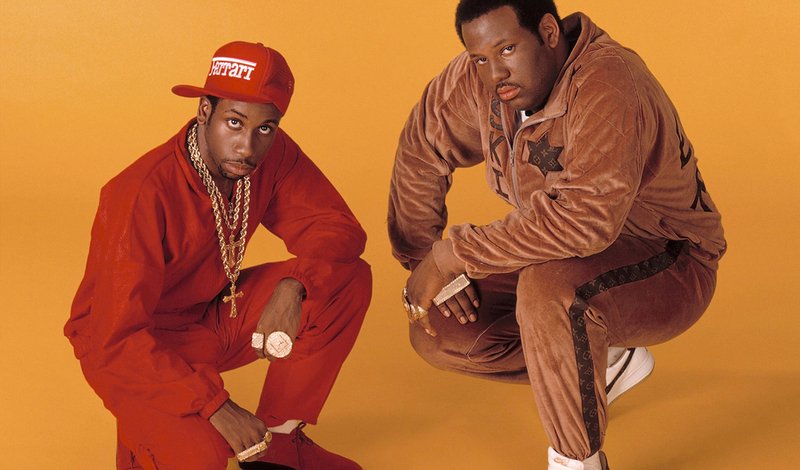 It proved highly influential in years to come, and many consider it the greatest hip-hop song of all time. So make a thing go right. Make it outta sight. Hit it … with Rob Base and DJ E-Z Rock.